That’s right! BUY 1 FREE 1! Penang Sentral, not just a bus hub but it also a port for a foodie! Happy news for all foodies! 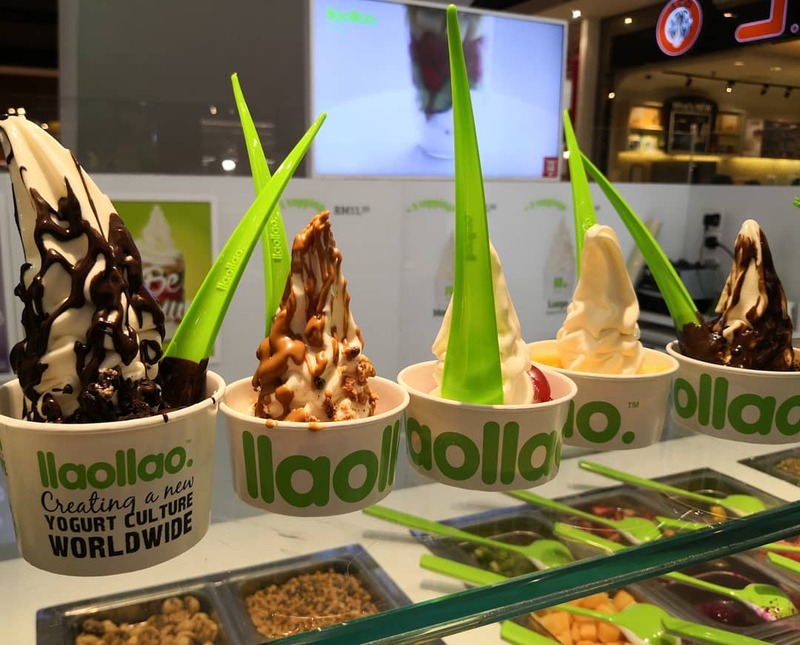 llaollao, Malaysian’s favorite frozen yogurt with a variety of choices for sauce, crunch, and fruits have level up their game by bringing you a sweet deal of Buy 1 Free 1 for Penangites! 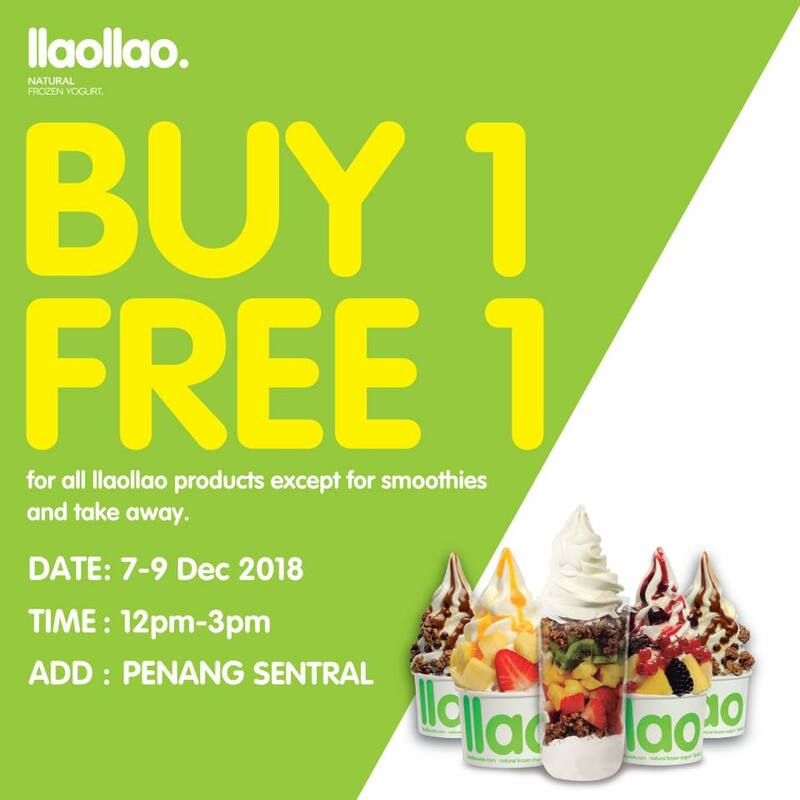 Don’t forget to queue up and grab your llaollao product on the 7th to 9th December 2018, from 12.00 PM to 3.00 PM. This promotion is in conjunction with their outlet opening at Penang Sentral. The promotion includes all products except for smoothies and takes away. Don’t forget to refresh with llaollao whenever you are at Penang Sentral and grab this deals to satisfy your craving. What are you gonna grab this time, foodie? For us, for sure Sanum Or Large Tub will be the best! Don’t wait any longer! 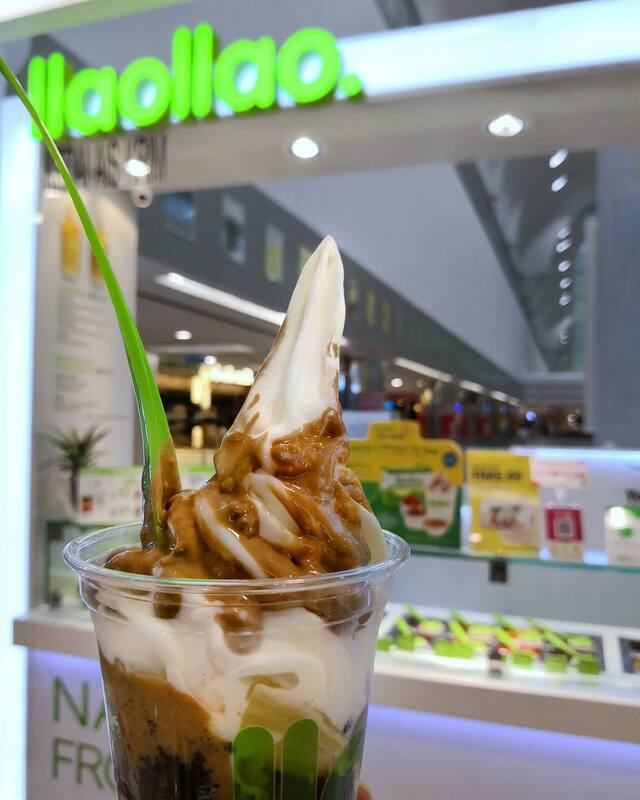 Head to Penang Sentral outlet and grab the favorite frozen yogurt! Remember two is better than one and it takes two to tango! For more information, you can check out llaollao’s Facebook, Instagram, and Website. Share this with your friends and family!